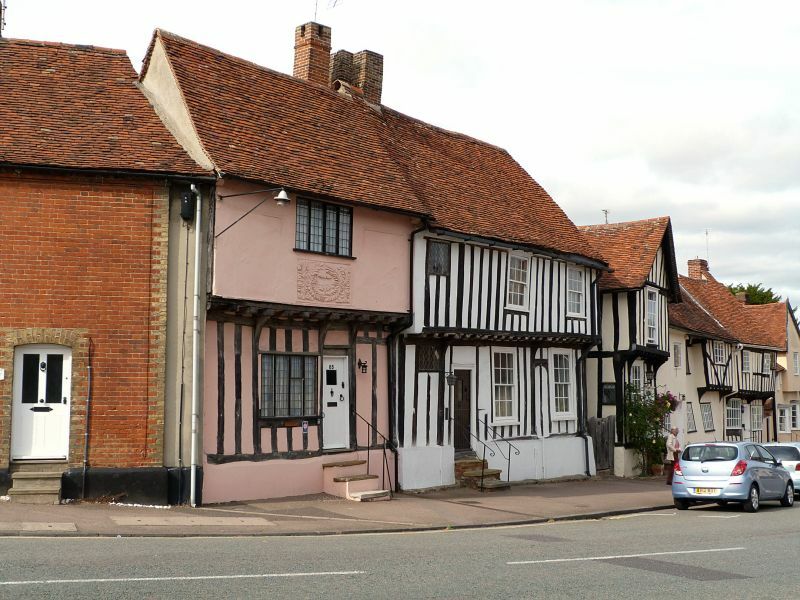 A C16 timber-framed and plastered building with a tiled roof. Two storeys. Nos 85 to 91 (consec). The interior has exposed beams.